Although to speak about silence is to risk obscuring the very experience one might wish to elucidate, to keep silent is to risk it going unappreciated. 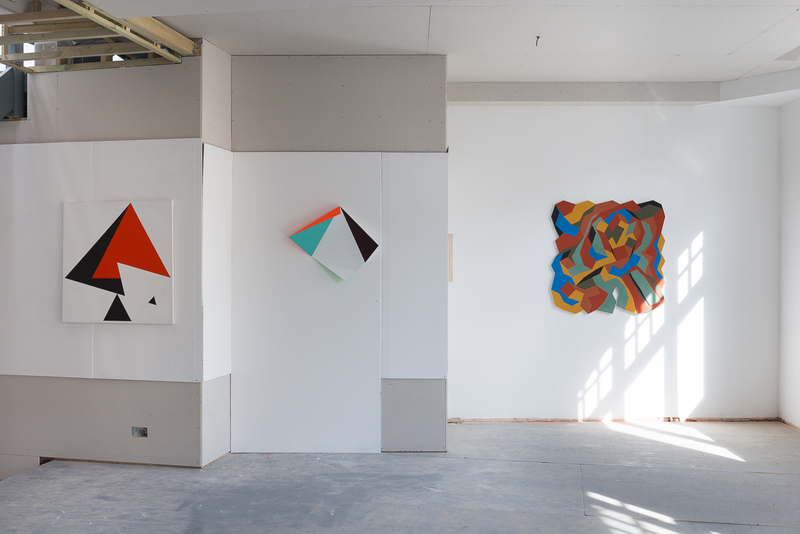 I feel similarly about the wonderful exhibition(s) currently on show at Annely Juda Fine Art. I will be careful not to say too much, but I must say something. 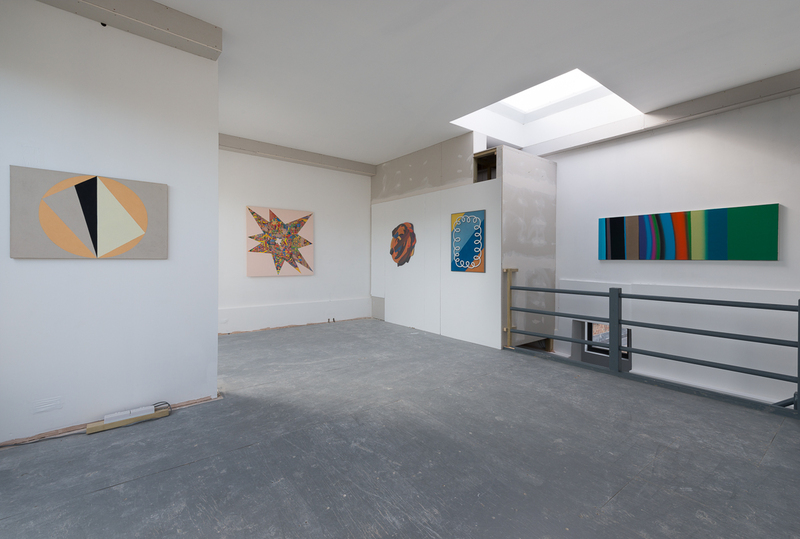 I will keep quiet about the wonderful space on the fourth floor with a skylight that is perfect for viewing the new paintings by Edwina Leapman, and say nothing about the beauty of the works in the Line and Circle exhibition on floor three. It’s ages since I saw Naum Gabo‘s linear constructions and constructions in space, and I had forgotten just how captivating they are. Was it in the 70s that there was a big show of these somewhere and we spent ages peering at tiny constructions in glass cabinets and glass covered plinths? And whilst looking, really looking (the response that Gabo achieves so consistently, not just for me, everyone seems to be studying so intently) it is silence that accompanies us. So, I shan’t say a thing about the amazing paintings here by Friedrich Vordemberge-Gildewart (an artist only recently brought to my attention by Terry Greene in a recent blog post), Composition N. 204, 1944/5, demanding silent contemplative viewing, like the Max Bill painting pura III, modest in size at just over a foot square, and containing almost no detail, the space divided in half down the centre and each half being divided diagonally from upper left to lower right resulting in four triangles, two in a colour approaching indigo and two in green, also resembling a zig-zag or ‘W/M ‘shape. 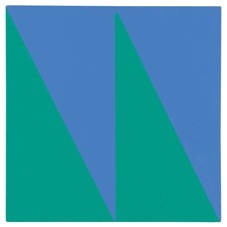 Impossible to determine which form is figure and which is ground, it shifts continually, from green figure against blue ground to blue figure with green ground, the colour relationship between them seeming somehow to be just right, as if there was such a thing as “correct”. Motion is arrested as I fix my attention on this object/image. It’s not just that the experience is a silent one, it’s more that the painting is the visual equivalence of silence: shifting, dependent on our perception of it, between presence and absence. 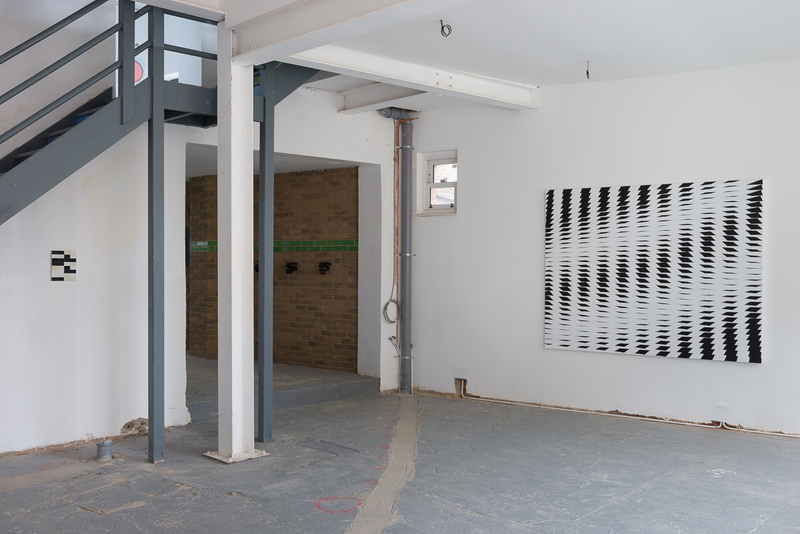 The other, much larger, Max Bill painting on show here, rotation around expanding white, a brightly coloured diagonally oriented canvas, equally interesting, seems a little ‘noisier’. Perhaps it’s all that visual excitation. 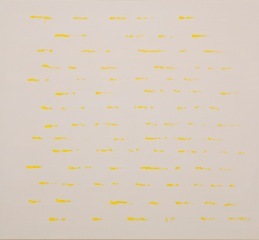 Similarly with the marvelous painting by Kenneth Martin from his Chance, Order, Change series: although quietude continues to attend my viewing, it seems slightly ‘noisier’ somehow than pura III; It has a ‘buzz’ about it. 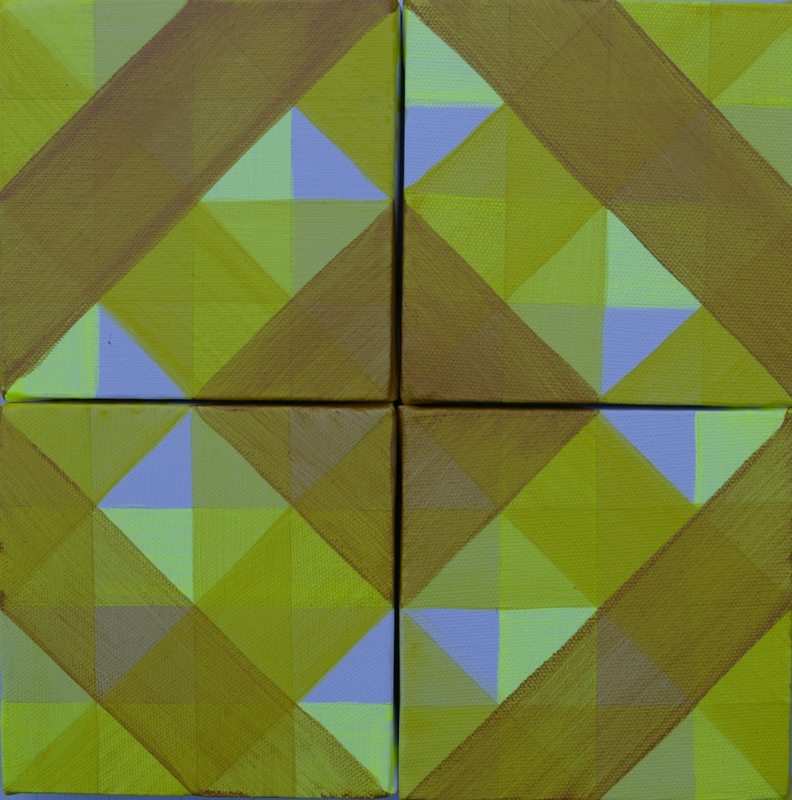 Based on preliminary drawings, this series of paintings is highly programmatic and yet incorporates chance, which defines the position of the lines and their sequence. 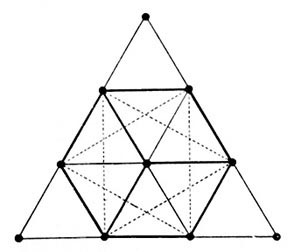 The points of intersection on a grid of squares are numbered and the numbers written on cards which are then picked at random. A line is made between each successive pair of numbers. I am unsure how the colours are determined but I think I am right in saying that where a line has been crossed by another its colour is changed. It’s a lively painting, and I am enjoying seeing it here in this room along with others that share with Martin an affinity with the tradition of constructivism (some more some less so: Ben Nicholson, Antony Caro, Josef Albers, Laszlo Moholoy- Nagy, Naum Gabo, Kazimir Malevich and Olga Rozanova ). I am also aware that it belongs in a series and I would like to see more of the series to place it within it’s own more specific context. But most of all I am enjoying the dialogue that this painting seems to invite me into. Perhaps that’s why I say its a noisier painting than some of the others: here I am talking to it about the process followed for its own production. 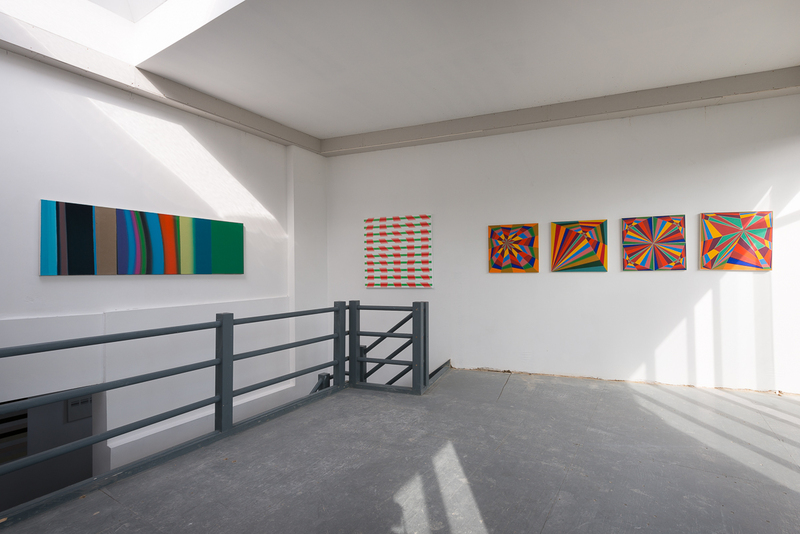 On the fourth floor Edwina Leapman‘s paintings also encourage thoughts about the process of making them, and the series context is also present: 15 paintings all made in 2012, all of two colours with a ground on which is drawn a sequence of horizontal lines. I have the impression that on each line the brush is loaded with paint and the paint deposited along the line until the brush is empty and then re-loaded to recommence on the line below. 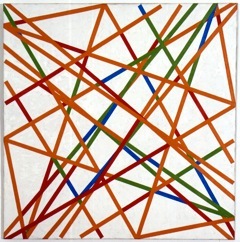 It looks as if the position of the line has been determined beforehand but the way the painted line looks is determined only by the process of drawing the brush across the coloured canvas. 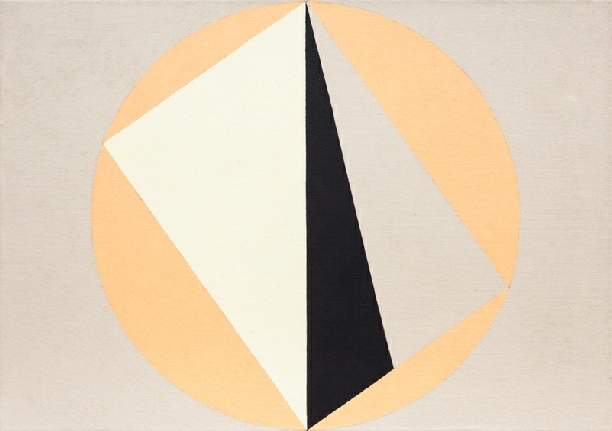 In some of the paintings the ground and the line colour contrasts in hue and sometimes they match, but they are generally closely matched in tone. 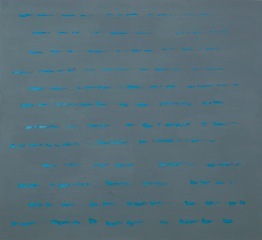 Although I feel drawn into that conversation about process, and even more so having seen the Max Bill painting pura III and wanting to compare and contrast them, they do then bid me to become silent again as I view. 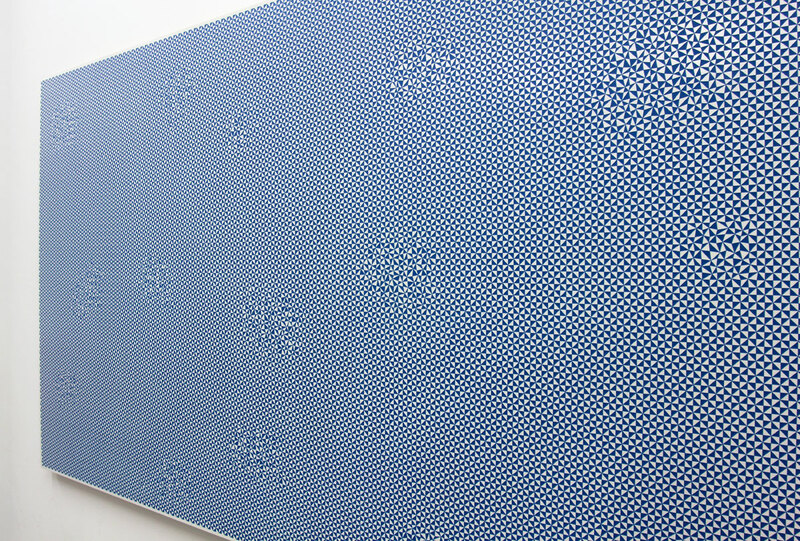 They have amazing optical qualities, that must be ‘simply’ the result of the colour and close tonal relationships. That so much sensation can arise from so little intervention I find surprising, also that each painting has a distinct character of its own, vastly different from the others whilst in structure being entirely similar. It’s true that appreciating these is something more for experience than for words, and also that their visual charge ( I want to say power but that suggests something much more brash and not ambiguous enough for these) is extremely difficult to put into words. So I will cease my speaking and continue to look on in silence. 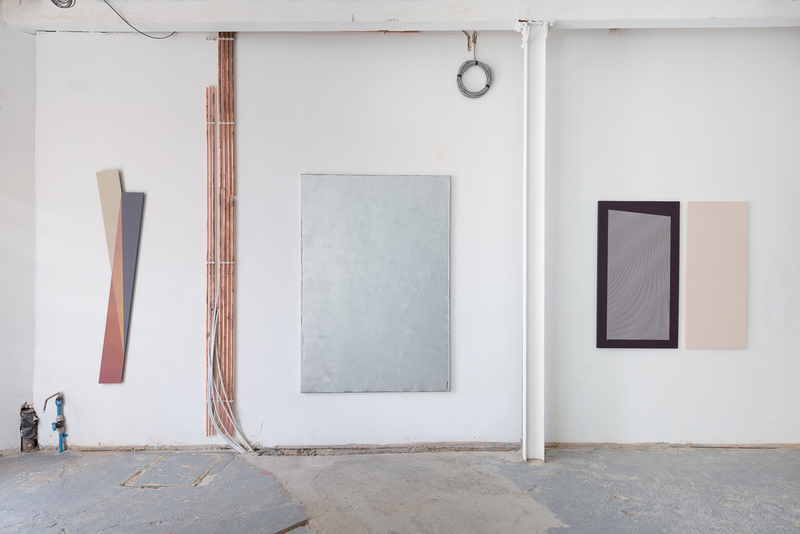 Edwina Leapman New Paintings is showing until 28 March and Line and Circle until 23 March.